Honeybees benefit our environment. Although we appreciate their many benefits, when they infest our home, we are presented with a potentially dangerous situation. Because bees are so beneficial, it is important that they are removed responsibly. We also want to make sure that we remove their hive entirely, in order to prevent future infestation. Legacy Rodent Control offers the most experienced bee removal Fort Worth and Dallas has available. As bee removal experts, we know that keeping the hive intact also reduces stress on the bees, minimizing aggressive responses. There have been cases of Africanized honeybees reported in the southern United States. 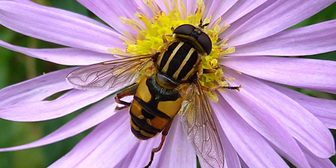 These bees, although smaller than European honeybees, are much more aggressive. This presents a dangerous and even deadly situation to humans. Legacy Rodent Control is the expert you need for bee removal in Fort Worth and Dallas. We are trained professionals with the tools necessary to remove bees safely and thoroughly. 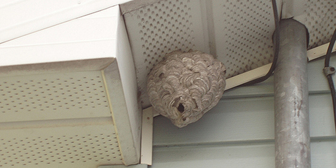 Signs of a bee infestation include seeing bees near the exterior eaves or corners of your home, or inside your home. For professional bee hive removal in Dallas and Fort Worth, Texas, call Legacy Rodent Control today! • Honeybees are typically not aggressive, and go out of their way to avoid humans. • Honeybees usually build their hives in the corners or tight spaces in your home. • Honeybee colonies can be active for many years.